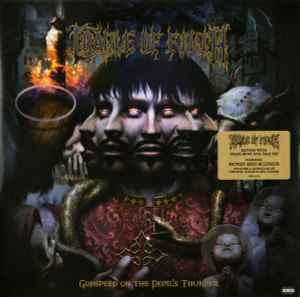 Published By – Cradle Of Filth Music Ltd.
Includes a download of the full album in MP3 format (valid only in the United States and Canada, through October 28, 2009). Alchemically mixed and mastered at Backstage Studios, Sneapy Hollow, Derbyshire, England, Mars-Juno 2008 E.H. Published by Cradle of Filth music Ltd/Peer Music. Issued under license to Roadrunner Records from The All Blacks B.V., Inc.
℗ & © 2008 The All Blacks B.V., Inc. Manufactured and distributed by Warner Music Group.